The heartbeat of Charlie's Nova is a potent 350 HP, 350 CI small block Chevy engine. The headers are painted with Alclad chrome. 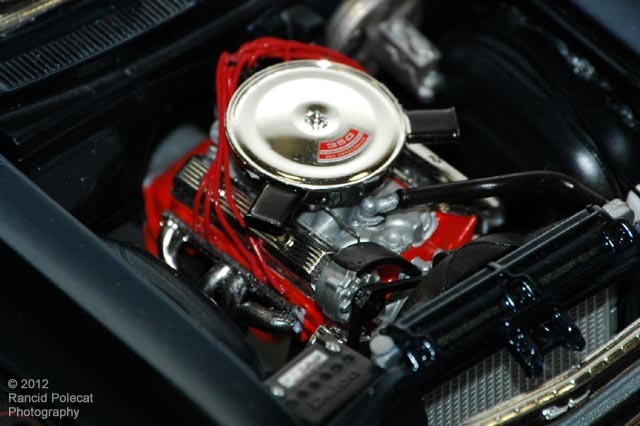 Bright red ignition wiring is from Detail Master. The rein distributor is by Replicas and Miniatures of Maryland.